There are like negative five shopping days left until Christmas. OK, that’s a lie. Sorry to make you panic. There are actually five (that’s positive five!) shopping days left until Christmas. So, basically not a lot. And if you’re anything like me, you’re starting to panic. Well actually, this is the first year ever that I am DONE with my shopping an entire week ahead of time and pretty satisfied with everything I got for everyone. See, I usually do this thing where I hem and haw over what to get everyone because I want it to be absolutely PERFECT and then three days before the big day, I realize I don’t have time for perfection and go into crazy freak out panic mode. Of course, I always want everything about Christmas to be perfect and I want everyone to love their presents to death. Which is kind of what sometimes makes this the most stressful time of the year. I have two solutions for this. Nespresso and Nespresso. Not only do Nespresso machines make the perfect, tasteful holiday gifts for your loved ones, but they also help you kick back and relax during the busy holidays. With one word: Caffeine. My idea of a tasteful holiday? Getting your shopping and holiday tasks done ahead of time so you have plenty of time to spend with family and friends, relaxed and completely cheerful. And now I’m excited to be giving away a Nespresso machine to one lucky We are not Martha reader! Of course, you can claim the machine as your own and enjoy a tasteful holiday season and beyond with it… Or you can give it to a loved one as a gift… And make them pretty darn happy in the process. The machine I’m giving away is a Nespresso Pixie Aluminum ($229). AND Nespresso is also throwing in an Aeroccino+ ($99), so you can serve your espresso with the perfect froth! I actually bought my mom a Nespresso machine for Christmas last year because she had been talking about wanting one for a long time. I was a little skeptical because my mom has had espresso machines before and they all tend to end up in her pantry after being used a time or two. Guess what? One year later and her Nespresso machine still sits on her countertop! And she uses it multiple times a week. Have you seen the huge range of machines Nespresso offers? They come in at all different price points, which means it’s easy to find one for the special people on your list. Bonus for you if you’re close to the person you’re getting a Nespresso for. Since I got one for my mom, I reap the benefits of a homemade latte every time I go visit her. 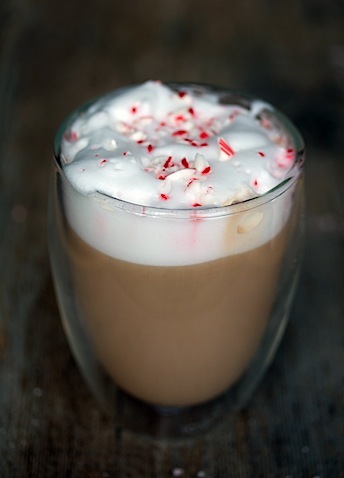 And I think that if you win the giveaway, one of the first things you should make with it is a Peppermint Latte. ‘Tis the season! It’s simple and festive, which is exactly what you want at this time of the year. All I did was make a cup of espresso (I used the Fortissio Lungo Grand Cru) and then froth my milk with a tiny bit of peppermint extract mixed in. Obviously I topped the latte with crushed candy canes, too. It took me about 2 minutes from start to finish and it allowed me to take a little break from holiday shopping online, while working up my energy to head to a holiday party. Want to win a Nespresso Pixie of your own this holiday season? 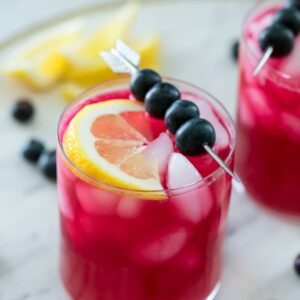 All you have to do is comment on this post letting me know what kinds of drink you’re most excited to make with it! Peppermint Lattes? Simple shots of strong espresso? Cappuccinos? Nespresso has tons of recipes on their website if you want to see what other options you have! Comment by tomorrow, December 19, at 11:59 p.m. for a chance to win (must be 18+ and a U.S. resident)! I hope you get the chance to have a tasteful holiday with Nespresso! 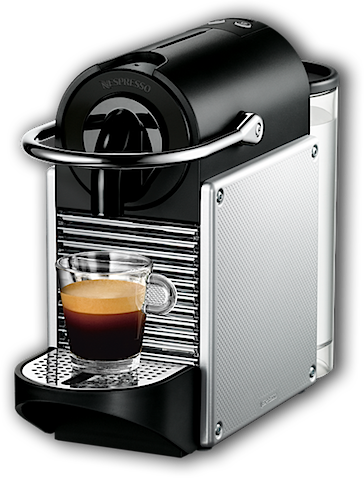 Disclaimer: Nespresso is providing me with the machine to give away, but as always, all opinions here are 100% my own! 119 Responses to "Nespresso for a Tasteful Holiday (and a Nespresso Pixie Giveaway!)" I’m most excited about shots of espresso at the office. I need espresso for a Monday morning wake up! Iced chocolate coffee with raspberry?! Yes! I once stayed at a fancy hotel that provided Nespresso machines in the room…oh, it was lovely. If I had a machine of my own, I would stick with my tried and true double-shot vanilla latte. Any flavored latte for me, please! Hi Sues! I would love to make macchiatos for my dinner guests this holiday season! I just returned from 2 weeks in Italy and I am really missing the daily (or twice daily) cappuccinos I had there. Would love to be able to make them at home! I am ADDICTED to iced lattes. I’ll drink them everyday, no matter how cold it is. We love to entertain and with the holiday season upon us, this would be ideal for our out of town guests that love lattes! 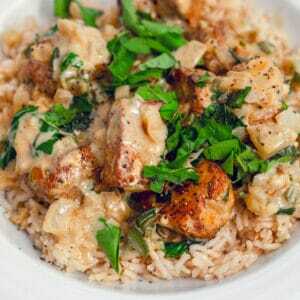 Would be ideal for brunch (incuding homemade cinnamon rolls and egg casserole.) Love the smell of a fresh latte! Lattes! Lots and lots of lattes! I have been craving one of these since the post about the cafe/boutique a few weeks back! I’d love to make my own lattes because these Chicago winters are too cold for walking to a cafe. Peppermint mochas are my absolute favorite! I would love to make one with a Nesspresso! Flavored lattes all the way! Been loving eggnog lattes with some foam and nutmeg this month! Oh my gosh best giveaway ever!! I need one of these babies to speed up my morning routine! With an infant now running our house, my husband and I could most definitely benefit from making our own espressos. Our own personal (good!) kick in the pants in the AM! I love espresso and lattes! Love cappuccinos. And recently hubby has loved heating up milk on the stove to make a mistook at home so would love the frother. I would make lattes every day but would definitely be giving the Nespresso iced latte with ice cream a try at some point! I would love this! Mocha Latte!!!! I would love to get ready for chilly and snow filled ski days with a hot latte (maybe with a shot of whiskey?!) to warm me from the inside out in preparation for the slopes! Lots of lattes! The peppermint sounds amazing. i’d make tons of lattes! A simple latte would make the day for me! I’d love to use it for lattes! I’d love to make vanilla lattes at home!! Peppermint everything. I am so obsessed right now with ordering peppermint lattes at the local coffee shop. You can never go wrong with a cortado – essentially an espresso with a touch of milk and a dab of foam. To spice it up for the holidays, I would add a dash of cinnamon. at home lattes? Yes, please! I want to make the Gingerbread Viennois — it looks so good!! The Christmas Spiced mocha looks amazing! Nothing says Christmas like a peppermint latte! I would use this lovely machine to try all kinds of new drinks. I only began drinking coffee within the past couple of years and after a couple European trips for work this year, I have become highly addicted! Would be such a great addition for the holiday! I need this machine!Any thing mocha will work for me! I love your blog! I’m an iced latte drinker – even during our long, snowy Boston winters! A nice cappuccino to enjoy with a warm fire and a good book! I’ve been drinking so many decaf lattes lately…this machine would be so much fun! I would looove to win this to make a Christmas Spiced Mocha! YUM!!! definitely strong espressos! i miss making those and would rather drink an espresso than a whole cup of regular coffee. I would definitely make a peppermint latte. (Actually I’d probably add some chocolate and call it a mocha!) Love the idea to froth the milk with peppermint extract. Peppermint latte sound so good. I would also like to try Eggnog lattes. Egg nog lattes before the season is over!! Definitely most excited about cappuccinos! The strongest espresso I can possibly make for my husband. I would love to make a cappuccino! I’d make my favorite — gingerbread latte. I love coffee!! I would make a simple latte with soy milk with pretty foam art!! I’d like to make espressos, but I’d also like to make some cappuccinos. 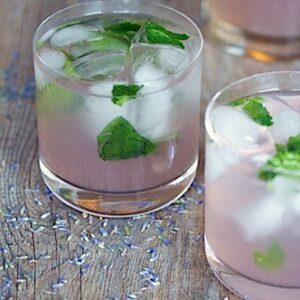 You had me at peppermint- this drink looks divine. I’d make a peppermint mocha latte! I’m all about the eggnog lattes right now. Why can’t they be year round? I also would love to make the Coffee Custard with Caramel Milk Froth from Nespresso’s website. They really have the best coffee! I need to save up for one of these! I would make cappucinos,white chocolate lattes,espressos,bonbon cafe,borgia mocha,and gingerbread viennois. As a mother of 2 babies under 2 I savor every sip of my morning latte! I’ve been lusting after this machine for over a year! I would love to make an awesome cappuccino! Nespresso makes such great espresso!!! Soy latte. Best way to start the day. Nespresso is so unbelievably easy and makes the best espresso. Shots if espresso! Would make my life! I love Macchiato Latte’s, but the Christmas Spiced Mocha sounds wonderful! I would love a Nespresso. My parents and my sister both have one and coming home to my coffee pot after visiting them is always an adjustment. It’s just not the same! Gosh I would adore my own espresso machine. I may be drinking decaf now, but I make a mean latte regardless! Caramel lattes! Everything is best with caramel. Shots of espresso for my morning dirty chai! So delish!!! I am most excited for espresso with nice crema! I have a four month old baby so I need the caffeine flowing! I’m in the process of getting my basement/(Wo-man) cave together and this would be perfect. I’ve been eyeing one of these for quite some time and I think it would be perfect in my little ME space downstairs. I’d do those super strong shots for company and for me Cappuccinos all day ! 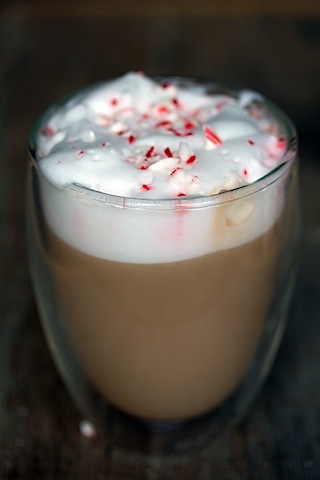 I would LOVE to be able to make a peppermint latte at home. I never really indulge in sweet coffee beverages except when it’s peppermint mocha season. Then I can’t get enough! This would be an amazing Christmas gift for my hubby! Our old machine but the dust and this is not only sleek and stylish but makes delicious drinks fast! That peppermint latte looks delicious! If I win, I may be emailing you for the recipe! I am so excited to make an almond milk latte my son love them!! I’m all about the flavored lattes! Peppermint would be good throughout the winter, but I can think all sorts of other flavors I’d do in spring and summer. This could be an awesome office machine! We have been talking about getting one 🙂 Thanks for the opportunity and the great recipies!!!!!!!!!!! I’d be most excited to make a vanilla latte!!! It’s my standard coffee shop order, but it would be so much easier (and cheaper!) 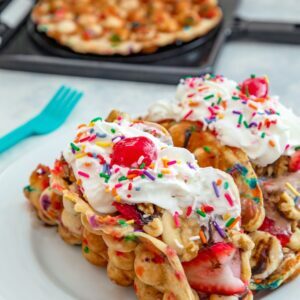 to make them at home whenever I wanted! Thanks for this giveaway and Happy Holidays! A macchiato. Actually, I’d like to try all the recipes on the Nespresso site. They all sound delish! The Peppermint Latte looks great!! Thank you for your fabulous blog. I love it! If I was to win the pixie nespresso machine I would make a egg nog latte and a mint baileys latte at Christmas and then regular days vanilla lattes.. Love them. Thank you for all you do.. You are an inspiration. Merry Christmas. Oh man, peppermint, gingerbread, pumpkin or just good ol’ vanilla. If I win this Nespresso I won’t have to chose just one flavor, I can make a different one very day! Love this! Is it terrible that I’d love to make a Caffe Amore? Nothing beats a night cap…. The Sweet Mocha sounds heavenly! I would love to make affogatos (espressos with ice cream!) the Nespresso! Peppermint mochas are not just for the holidays….I buy them all year round!!! If I had my own I’d experiment with whatever I could get my hands on. Anyways, I’ve heard these are amazing!!! Merry Christmas! I’d love to wake up on Xmas morning to a peppermint mocha latte! Yum! I want one to make a peppermint hot chocolate!!!!! I would LOVE making peppermint mocha late’s with this machine! They are my absolute favorite during this time of year!! I’d love to make a Choco Macchiato. Double espresso shots for a JOLT! Lattes and Cappuccino would be my choice.